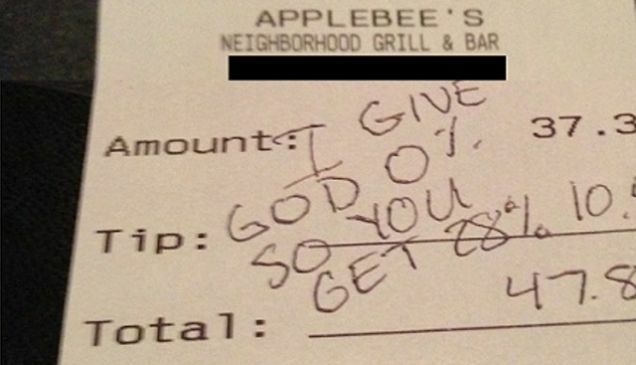 Applebee's this morning finally issued an official statement concerning the controversial termination of server Chelsea Welch, and managed to rile up even more potential customers in the process. Hell hath no fury like a pastor scorned by the Internet. The response opens with boilerplate self-congratulatory platitudes such as "every one of our franchisees values our hard working team members," and "we recognize...the tremendous contribution they make." At the same time, as we know you will agree, the guests who visit Applebee's — people like you — expect and deserve to be treated with professionalism and care in everything we do. That is a universal standard in the hospitality business. That includes respecting and protecting the privacy of every guest, which is why our franchisees who own and operate Applebee's have strict policies to protect personal information — even guest's names. Speaking with Consumerist yesterday, Welch said she checked the employee handbook to make sure she "didn't break any specific guidelines." 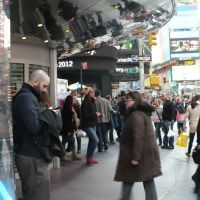 But in its statement, Applebee's disputes this, saying Welch violated the company's social media policy, which states: "Employees must honor the privacy rights of APPLEBEE's and its employees by seeking permission before writing about or displaying internal APPLEBEE'S happenings that might be considered to be a breach of privacy and confidentiality." The policy does not specifically refer to receipts, only to "photographs, video, or audio" of employees, customers, suppliers, agents, or competitors. Additionally, "permission" is defined as "written approval from the Vice President of Operations." The punishment for violating this policy is "disciplinary action, up to and including termination of employment." 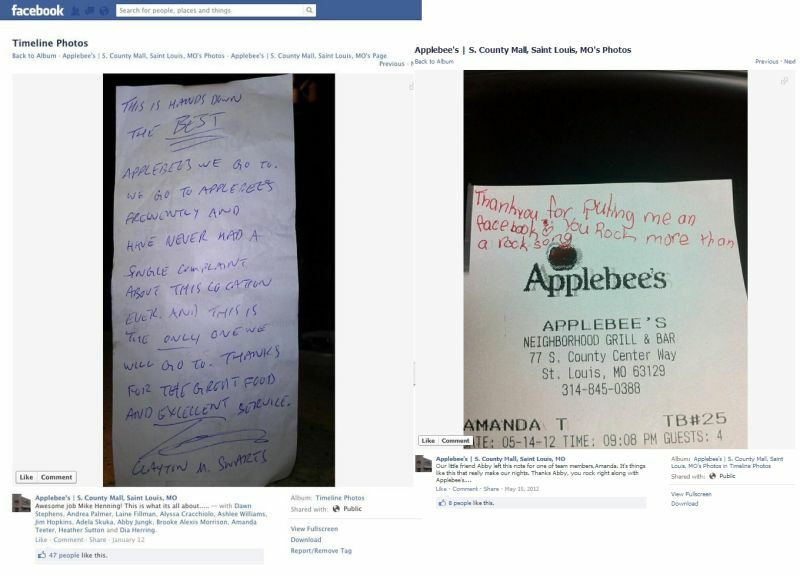 HIRE BACK Chelsea, a Facebook group with 4,000 likes and climbing, takes serious issue with Applebee's' claim that "disregard for an important policy" got Welch fired, pointing out at least two instances where an Applebee's in St. Louis reportedly owned by the same franchisee posted customer receipts on its own Facebook page (see left, click to enlarge). It is also worth noting that at least one of these two receipts has since been mysteriously scrubbed from the restaurant's Facebook. Meanwhile, many were left unimpressed by Applebee's attempt at PR control, admonishing the company for terminating Welch without considering a written warning first, and vowing to boycott the company until she is reinstated.